License Harvesting is the second license tool in SoftwareCentral. Licenses Harvesting is a simple way to save money on licenses, License Harvesting monitors the usage of software and can automatically uninstall software that is inactive on a client computer, that way the software license can be used for redeployment on another client computer. 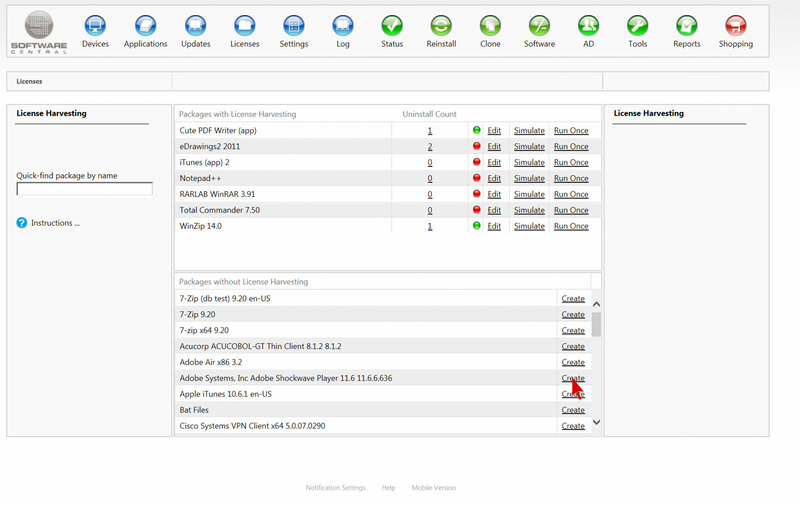 The tool is especially useful if software is needed for project work. Imagine an employee requests a software for a project he/she is working on for the next weeks, when the project is done the software won’t be used anymore and the chances are pretty high that the employee forgets about it. The software would stay on the computer inactive and if someone else needs the same software one would have to purchase a new license. 1. You go to Licenses on the top and select License Harvesting. 2. Now you will be presented a list of software packages with and without License Harvesting. We will stick to our previous example ‘Adobe Shockwave Player’, we can see it is not included in License Harvesting, yet. We click on create to add License Harvesting rules. 3. A new window opens and we can manage different settings. 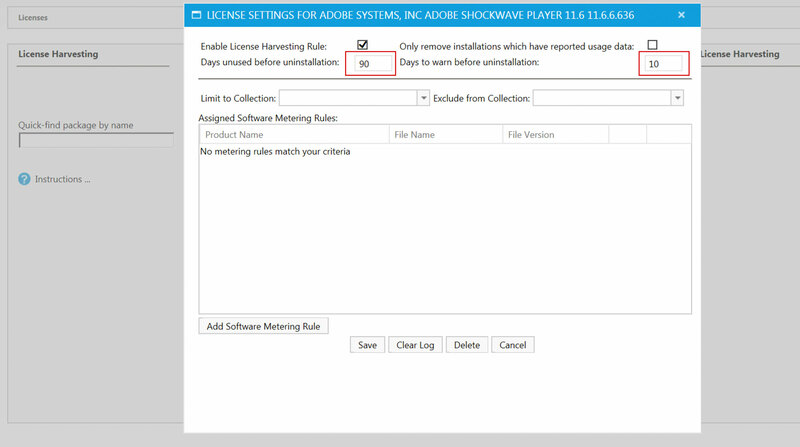 First of all, we want to decide for how many days our software example (Adobe Shockwave Player) can be inactive on a client computer before the automatic deinstallation. We type in 90 days ( that’s about three months) and we want be notified 10 days before the deinstallation. We finish with a click on the save button. These simple steps can be done with all software packages and allow a company to use licenses in the most efficient way.